At Elite Pools by Aloha, we want your concrete pool to be an organic, natural extension of your backyard. We offer a wide variety of features related to inground swimming pools in order to create your ideal outdoor oasis. The customized options are limitless given that the desired results fit within sound safety measures. Our swimming pool designer takes an individualized, custom approach to consider every detail before and during the construction process. We want to help you create and recreate your favorite memories through your luxury pool. Whether it was a memorable vacation in Cancun, or a starry night in Vail, Elite Pools turns your best life experiences into a work of art. to use and admire through your swimming pool. What is a concrete pool? For the highest level quality and look in the industry, a concrete pool offers a luxurious experience met with unmatched quality. The durability and stability of a concrete pool will stand the test of time despite natural ground shifts. Our trustworthy team is dedicated to providing you unmatched service and quality to ensure that you are fully satisfied with the results. If you’re looking for an experience far more than that of a standard swimming pool, a concrete pool is for you. What are my pool design options? A concrete (gunite) pool allows for maximum creativity during the building process due to materials used and building on location. Concrete pools are unique due to the freedom associated with designing for any depth, shape, size, and look. From a swim-up bar to a custom hot tub, we want your concrete pool to reflect your luxury lifestyle. Having trouble envisioning what you want your space to look like? Not to worry – our swimming pool designer will work with you to develop the perfect concept for your outdoor escape. What is concrete pool maintenance like? The experience and environment of your concrete luxury pool will be nothing short of superb. To keep your pool looking as new as the first day you jumped in, resurfacing typically is needed after about 20 years. Our service technicians will be here whenever your pool gets close to this milestone. From opening your pool, to closing it for the winter, maintaining your pool properly will pay off. Moreover, your concrete pool will survive harsh weather conditions all while bringing value to your home or property, should you decide to move. What should I look for in a pool builder? 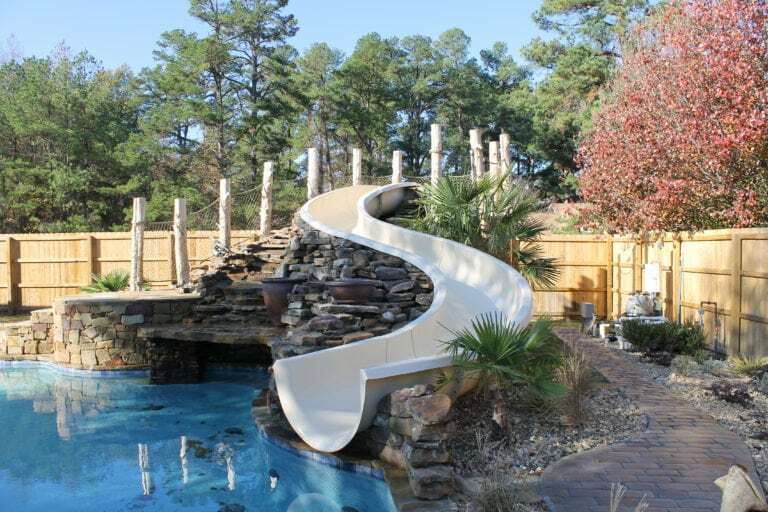 Our level of expertise, knowledge, and service make us Little Rock’s go-to pool builder. Scott Girner of Elite Pools by Aloha is the only certified Genesis 3 Gold Member in the state of Arkansas. This certification focuses on design, engineering, construction, and business in relation to the National Swimming Pool Foundation. Bottom line: when you build with us, you can rest assured that the quality, design, and construction of your pool is extraordinary. Contact Elite Pools by Aloha to learn more about how your vision for a concrete pool can be turned into a reality. We will be here every step of the way. What are you waiting for? Give us a call today!